When the X70 was available for hands-on in CeBIT this year, I wasn’t that interested in checking it out. The UMID, Lluon and S5, S7 were far more interesting for me due to their size and form factor. I also didn’t believe too strongly that the device would get to market. It wasn’t until last week that we entered the X70 EX into the database which shows how far down the list it was. I should have paid more attention because the X70 EX is now available for pre-order and it’s a peach of a ultra mobile PC that highlights how far the segment has come since the Celeron-based UMPCs of 2006. Fast SSD, GPS, Web cam, sub 700gm weight, great styling, hi-res LED backlit screen, good accessories and a capable platform that’s giving ‘I don’t really bother to measure it’ battery life. And how much is this going to cost? $599. That’s half the price for way, way more features than even the best devices were offering in 2007 or 2008. I’m looking at a price comparison site right now and the (hard drive equipped) Q1 Ultra (3G) is still selling in Germany for the equivalent of about $1400. Forget the Q1 Ultra folks. It’s time to move on. We met with Viliv in Computex and talked about their roadmap for 2009, the S5, the S7 (still on the roadmap) and they kindly handed over an X70 EX Premium Air (the 32GB SSD and 3G version) for long term testing. This one is ‘98%’ ready so we’ve effectively got a release candidate in our hands here. All the packaging is final and we’ve also got the car kit and the leather case. Unboxing was a rather careless affair as I stripped the packaging down for the journey home from Taiwan but it’s all good quality and much the same as with the S5. My first five minutes with the device were spent at altitude while others slept around me but again, there were no show stoppers. I was immediately happy with the speed of the device. Fast boot and fast access to apps without any stalling is a good indication of a fast SSD. 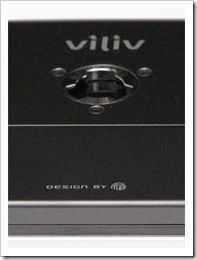 If you’ve followed reports of the Viliv S5 you’ll know that everyone is happy with the build quality. They use strong but stylish plastics, good design and have a high production quality. The same is true of the X70 which is slim and robust. From me it also gets the award for the best ever backside! Ergonomics and balance are good although I do have to highlight that it suffers a little from Kindle disease. The buttons on the left and right parts of the frame are all too easy to press when you’re holding the device in one hand. Fortunately there’s enough unused frame space to get round the problem but it takes a few days use before you adjust your the holding position. 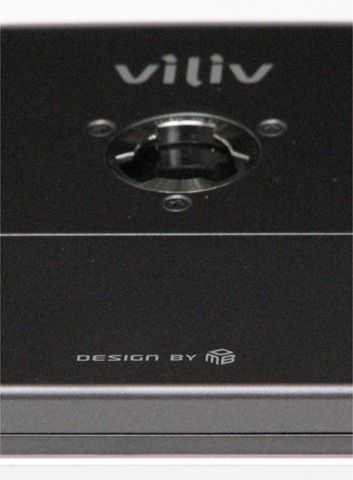 Viliv have recessed the ports into the side of the device which creates a nice lip for holding it. You’ll find a single USB 2.0 port (that could be an issue for some,) a video breakout port (the same as found on the S5. 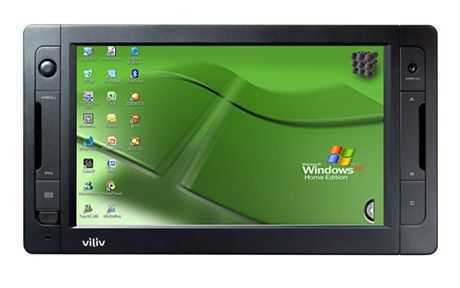 VGA, component and S-Video out) an SD card slot, reset button, power port and a mini USB port. On the top you’ve got a headphone output, power and lock slider, indicators for Wi-Fi, disk and power, an antenna (connected to the 3G antenna on the 3G versions) and a an extending stylus. Across the front fascia (clockwise from top-left) you have a cursor joystick, webcam (1.3mp) A, B and C buttons, on the bottom left there’s an external mic (many people missed this from the S5) the on-screen keyboard button, FN button and Menu button. The cursor joystick is probably the only thing I would highlight on the X70 as a let-down. It’s tough to move and has a smooth surface making it even more difficult. 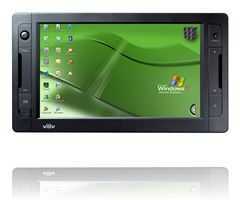 We hope that this is the last 2% that needs to be fixed on the X70 and we’ve already given Viliv feedback on it. Ideally it needs to be a mouse pointer but if it remains a cursor control, it needs to be easier to use. The A button is mapped to left-mouse button, the B button is mapped to right mouse button, the C button is mapped to the ‘Copyright’ symbol (which initially brought up the Viliv video player software but doesn’t do so anymore) The FN button changes the A and B button into a volume control and the Menu button converts the A and B button into a backlight brightness control. The Premium Air model is the top of the range of three versions that start with the ‘Express’ model that has a 16GB SSD and doesnt include the 3G module. The mid-range ‘Premium’ version increases the SSD size to 32GB. More details on the different specifications are available here.